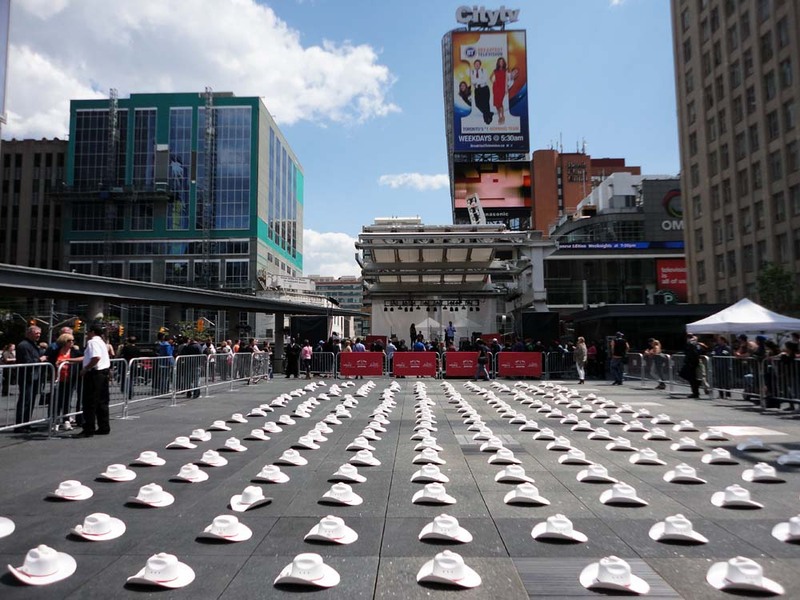 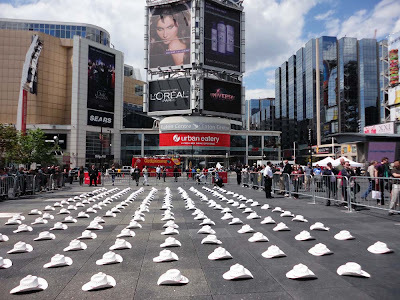 Travel Alberta and the Calgary Stampede presented #Toronto with a western welcome featuring hundreds of white cowboy hats lined up in Yonge-Dundas Square. 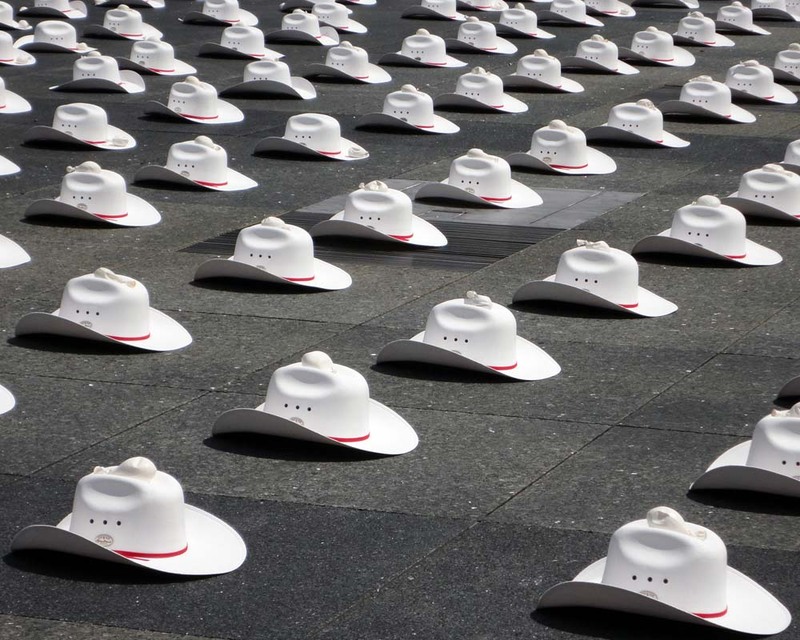 The Wednesday May 9, 2012 event was to promote the Centennial Anniversary of the Calgary Stampede; one hundred years from 1912 to 2012. 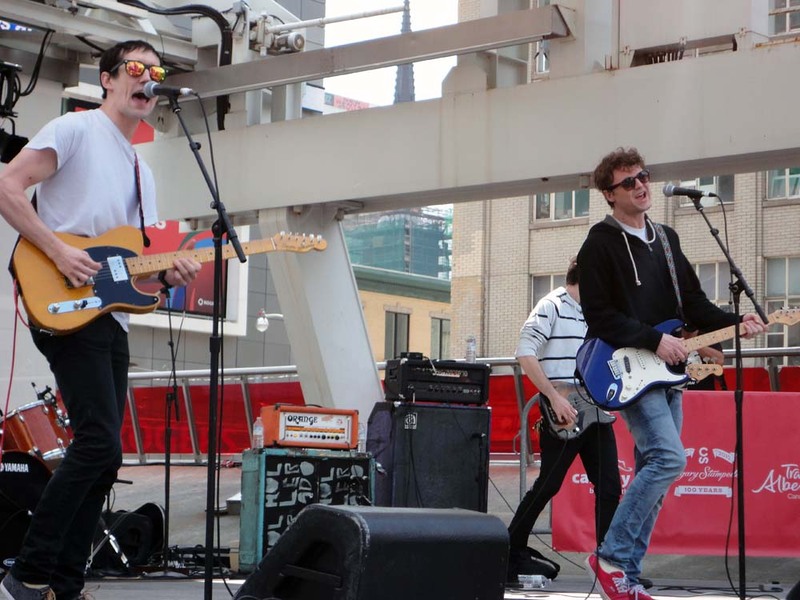 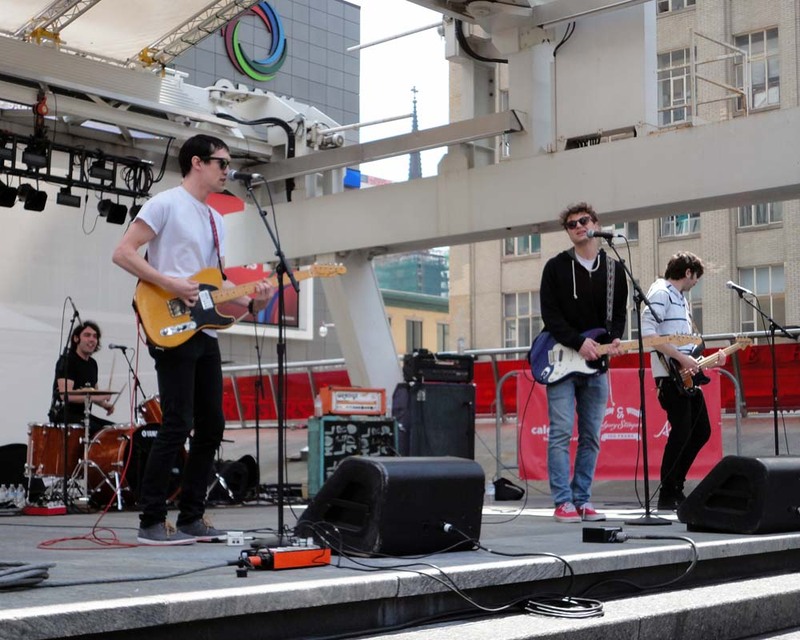 There was also Juno award-nominated band Hollerado onstage to keep the visitors entertained while people entered the contest and eTalk's hosts Tanya Kim and Ben Mulroney presided over the hat contest. See more hats and the band after the jump.